Hey, does Beauty and the Beast have you in the mood for fantasy movies? Want one with a bit more edge? This week’s classic is perfect for you. Last week Michael chose Black Dynamite. This week Aaron takes Michael out from under the proverbial rock to show him Labyrinth. Aaron Hubbard: I actually picked this on Michael’s request. Happens sometimes. This is a pretty interesting movie though, one that I think has more to it than many people give it credit for. Even its fans. Michael Ornelas: I loved so very much about this movie. It was so well made! Let’s just get right into the discussion because I’m excited this week. Aaron: The protagonist of the film is Sarah, a fifteen year old girl who is on the cusp of young adulthood but still lives in a childish fantasy. The titular Labyrinth is made up of her fantasy; the characters she meets are all toys found in her room, as are a few other motifs. But most pressing; Jareth arrives to take away her infant brother Toby. Toby is the embodiment of adult responsibility, and the Labyrinth forces Sarah to grow up a bit in order to save the day. Michael: It was simple, but sometimes simple is all that’s needed. Her growth came by problem-solving, and while not always directly related to “adulthood” or growing up, the idea of problem-solving is inherently mature. Her entire journey is relatable though to anyone who has had attention/priorities shift away from them, which is one of the biggest part of growing up: bleakly realizing that you’re not the center of the universe. That you need to work with the world to accomplish great things, not have everything done for you. And that’s fully realized when at the end, Jareth is telling her that he did all this for Sarah (giving her all the attention she seemingly wants), and she still just wants Toby back, who represents selflessness. Aaron: Sarah’s gradual growth from selfish and dare I say spoiled to selfless and self-reliant is a well realized thread, one that occurs so naturally it’s almost hard to notice. She has other traits too, embodied by her friends. Ludo is a symbol of strength, while Sir Didymus embodies her courage. But most important is Hoggle, who mirrors her struggle with loyalty to her brother. Hoggle is a coward and only concerned with his self-interests, but gradually learns loyalty just as Sarah does. It’s a journey about self-discovery and personal growth, and a well realized one. Michael: I was blown away by the set design of this movie. I originally planned on talking about the puppeteering, but as the film progressed, I want to touch on all the points that brought this labyrinth to life. Nowadays, I feel this whole movie would be made using green screens and Sarah wouldn’t actually be able to interact with the objects. Here, everything was crafted so it could be an integral part of the scenes, even if they required manual labor to realize them. The labyrinth itself felt like a real place because the shots were really built to do that. The puppets were top-notch, and I’d proclaim this the best work from Henson that I’d ever seen — they all felt vibrant, and like that had lives of their own. I was impressed by the Helping Hands. All these things added up to a truly mind-blowing experience. Aaron: The visuals hold up remarkably well today, except for one notable sequence where it seems nobody knew how to handle green screen. But the mix of hand puppets and full body puppets (Ludo and Hoggle) is great. 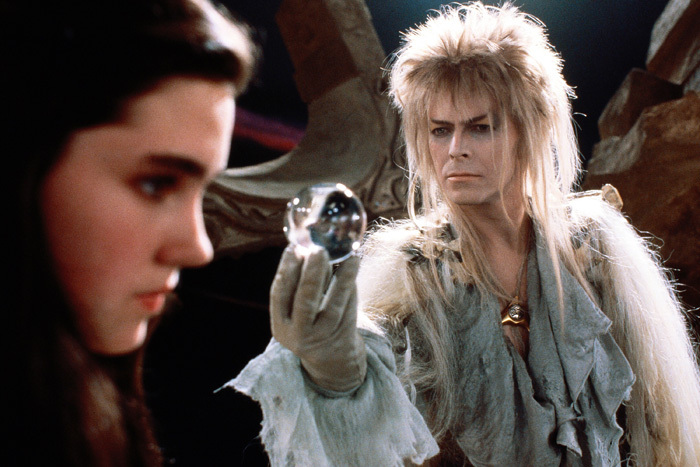 I also love the design of Jareth, who is distinctly David Bowie but also the Labyrinth version of David Bowie. Also, props to the juggler who did all the neat orb tricks for Bowie; it was seamless. Since you loved this, I can’t recommend The Dark Crystal enough. Michael: Aw man, I actually assumed Bowie was doing all of those orb tricks. He seems like the type of guy who would have just known how to do all of that. I guess he can’t be perfect in every way. Aaron: Labyrinth is a fairy tale, and like many traditional ones, it has an explicit moral to it. Many fans point to Jareth as a character that awakened their sexuality, but this is not only intentional, but the main point of the film. Everything in the Labyrinth is part of Sarah’s fantasy; Jareth is the more adult fantasy creeping into her childhood dreams. Not just in a sexual sense, but in a mature, adult relationship sense. He is both appealing and terrifying to her, which is appropriate for a fifteen year old girl. The dramatic climax of the film is about Sarah telling Jareth that he has no power over her. 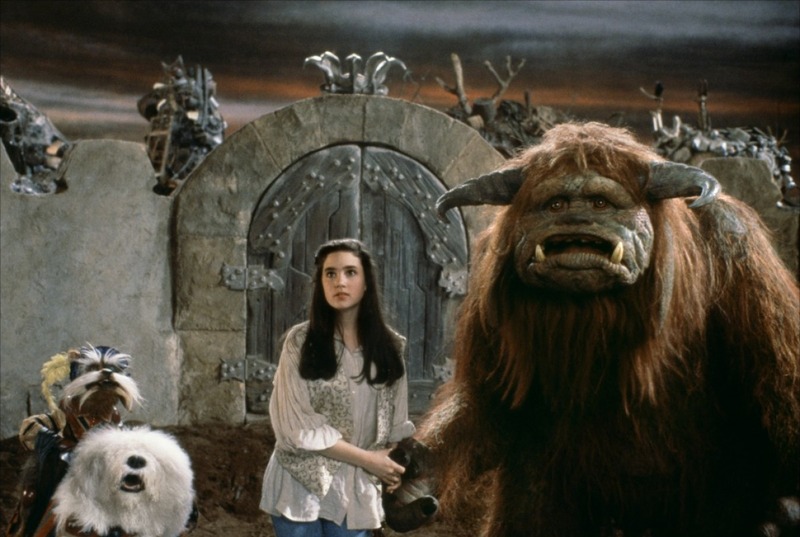 She claims dominion over adulthood and all of its complications and responsibilities; at the end of the film, Jareth (as an owl) is locked out of her window, and can only come inside when she lets him. Michael: What a mature theme for a child’s movie, but it’s a fascinating one. It’s very empowering to women (I’d imagine) and shows that the choice and power is yours at the end of the day. I like it. Now what I found interesting about this is the line “I have to go alone, because that’s how it’s done.” Or something to that effect. I love the idea that she spends the whole movie with her toys and getting help and guidance, but then when it comes to the final showdown, she needs to leave her childhood behind. And not entirely, but for the serious showdown. At the end, we still see her with all the puppets in her room, so it’s not like they’re forgotten. It’s an interesting mix of straightening out a bit for grown-up life, but letting yourself still have your toys. I say this as a 28 year-old who still has action figures: it’s an important message. Aaron: What else can we expect from Jim Hansen, a man who made his adult career by never losing sight of his inner child? It’s about finding the right balance, and most importantly, making those decisions yourself. If there is one positive trait most associated with growing up, it’s agency: the ability to think for yourself and do for yourself. Sarah finds her agency, and I imagine many viewers have found theirs through her. Michael: This movie isn’t perfect but man was it a blast for me. The acting was fine, but puppetry was masterful, the story was dark, mature and well-crafted. The message was awesome, and the set design may be my favorite ever? I’m probably speaking too soon but it’s really up there. My only real issue was that the music was just okay and the sound mixing on it was lousy. I could barely hear the lyrics when the songs were happening. They just felt awkward outside of maybe one or two songs. Either way, that’s a small nitpick for a movie I really enjoyed. Aaron: Labyrinth is special, and the more I watch it, the better it gets. I was always drawn to the amazing puppets and set design, as well as David Bowie’s charisma. But it’s, thematically, a very rich film, one that I think empowers children (and especially young girls) without beating them over the head with its morals. I don’t care for the scene with the weird creatures that juggle their heads, but aside from that, I’m very fond of it. Michael: I’m real glad we did this. That’s all I have to say here. What is your favorite Jim Henson film? Michael: Listen Morty, we gotta (buuuuurp) do the thing! 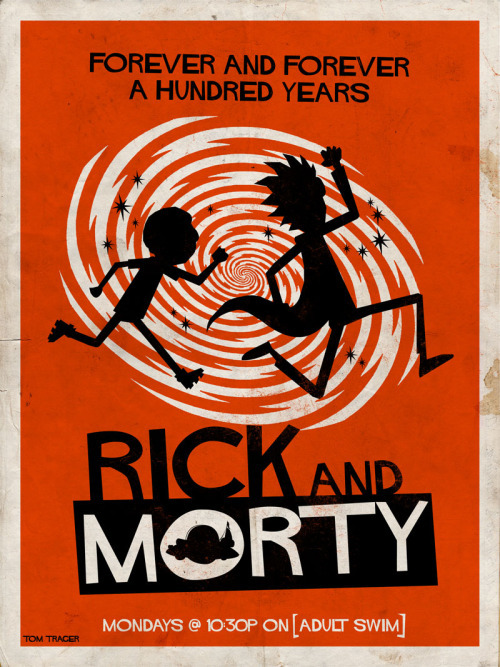 We gotta do the thing real Morty and watch the the the the the the the thing. Get riggity WRRREECKED! Aaron: WUBBA LUBBA DUB DUB! I’ve been watching this one steadily as we got closer to this week. I’m officially addicted. Michael: It’s not just one of the funniest shows on TV, but maybe my favorite sci-fi show of all time (in the running with Futurama). Check out my thoughts on Logan, and also my comprehensive review of the original animated Beauty and the Beast. 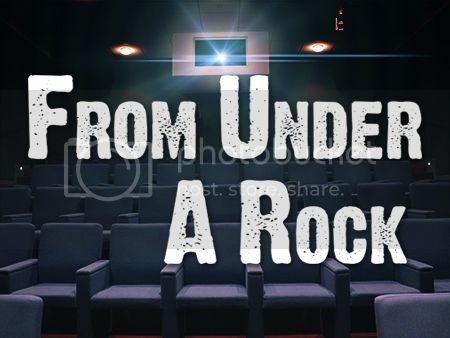 Check me out here to see my star ratings for almost 800 films. Recent reviews include Mission: Impossible II, Hellboy II: The Golden Army, and One Flew Over The Cuckoo’s Nest. Much like the maze itself, Labyrinth is deeper, more challenging and more fulfilling than it looks like it would be. Jim Henson and his team of puppeteers do amazing work, the set design is incredible, and the late, great David Bowie has unique charisma as Jareth. But the film is a very subtle, almost masterful fable about growing up without losing your childhood in the process. It's worth getting lost in.